I have separate book clubs at school for my boy students and my girl students. I find it works better that way. Not necessarily because of book choices, but for comfort levels on both sides of the gender fence. My students prefer it this way, as well. 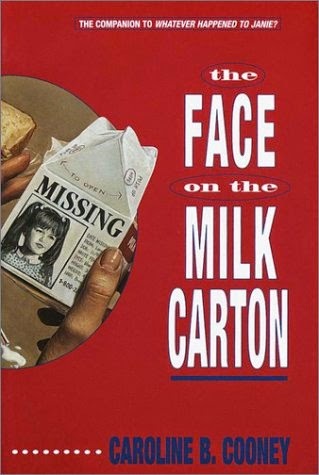 The series revolves around a teenage girl, Janie, who sees herself in a little girl's picture on a milk carton at school. She begins to question if she was kidnapped when she was little. She sets out, along with her boyfriend, to try to discover if there are any secrets in her past or her family's past. Not only did I enjoy the first book, but I ended up ordering the second one to give to the girls last week when our book club ended. They wanted to continue the story and discuss on their own. I just gave it to them last Friday and most of them have already finished it and want the next one! While this may not impress you if you are an avid reader, I should mention that these students are reluctant readers. They do not simply read on their own because they want to read. For the most part, they thought reading was boring...until now! It has been so much fun watching their excitement over the books and discussing it with them in the hallway. At least once a day I hear, "Look, look what chapter I'm on! Have you read that far yet?! Oh, my gosh, I can't believe what just happened!" If another book club girl overhears the conversation, she starts squealing about where she is at in the next book. It is, truly, music to my ears! As for me, I have to keep up because they want to touch base with me and discuss as they discover. 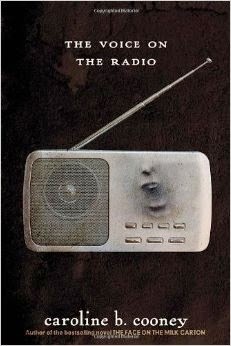 I just finished the second one, Whatever Happened to Janie?, and I am already a few chapters into the third, The Voice on the Radio. I'm still enjoying where this author is taking us on Janie's journey. While I realize it is a middle school series, it is a really good story and worthy of my reading time (which is quite precious to me). I'd like to mention, too, that the covers on the books have been updated. My students didn't think they were going to like the book when I first showed it to them. (Thus, the saying, "Don't judge a book by its cover!") As I said earlier, the first copies we had were from our school's book room, and they were the old version. The new covers that came on the new ones I purchased through Amazon were, as my students' said, "WAY cooler!" I was browsing my own bookshelves for a good "in between" read the other day, and I just couldn't decide what I wanted. More than once, my eyes glanced at a book by Anita Shreve. More than once, I shook my head and moved on. There's a reason for this. It's the same reason I don't read Jodi Picoult books. Can you guess? Surely the title of this post is a big hint. Now, I'm not one who is given to hasty judgments, and I usually give an author more than one chance to prove themselves if I find redeeming qualities in their writing. I can honestly say, Anita Shreve can turn a lovely phrase and some of her description so adequately describe the human condition that I find I use a few post-it notes marking passages. The thing is, it takes more than that to make a great novel. I had read Shreve's novel Where or When some time ago. I had heard so much about the author from other people that I actually bought two at one time. After reading the first, I put the other on my shelf and forgot about it. The first one really made me mad, as I felt the author had woven a good story and then needed to tie up loose ends quickly, so she killed off the main character. Really? Really. Authors who consistently use death as an easy out in their stories really piss me off. Truly. Allow me to elaborate...and to prove why "piss me off" is such a perfect way to express the emotion I feel at a writer's flagrant use of one of life's harshest realities. Life is hard and most of us have to work through it, whether we always feel like it or not. Death is not a resolution. Any writer can use death as an easy way out for a character in a story. It also leaves the reader feeling quite cheated. Not necessarily because the reader has all this emotion and attachment to the character (because, trust me, I didn't), but because the world simply doesn't work that way. Most people do not find themselves in the middle of turmoil, at a major climax in the story of their own life, to find that someone has died. If they do, they certainly don't see it as the turning point to their problem, or that it gives them any resolution at all. In fact, it begins an entirely different line of suffering. The author, by the way, doesn't feel the need to elaborate on all that suffering after the death. No reason to go into all the details of what happens with all the other characters after the unexpected death. Nope. They can wrap all of that up in one last chapter. Their job is done. You see, the author has filled up the number of pages required to meet their contract or to make their publisher happy, and the reader is left dissatisfied. What may have started out as a great story, just fizzled before your eyes and has left unresolved issues flapping in the wind or the resolution is so weak, it doesn't hold water. 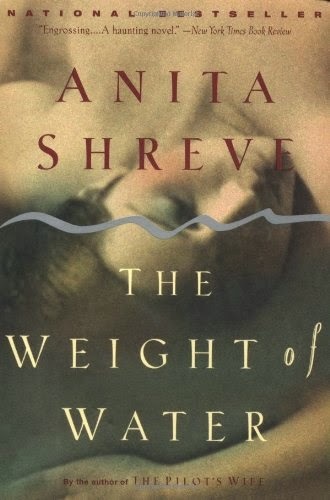 I decided to give Shreve another chance and read The Weight of Water. Great title, yes? I thought so. I was so excited when I read the introduction and even found a quote I liked on the second page! "Sometimes I think that if it were possible to tell a story often enough to make the hurt ease up, to make the words slide down my arms and away from me like water, I would tell that story a thousand times." Oooh, I thought, this is going to be good! The premise of the novel is that a photographer is on assignment to capture the essence of an island where horrible murders took place back in the the late 1800s. The novel carries two stories. One is the story of the murders and the other is the story of the photographer and her husband, who are on a boat with her brother-in-law and his girlfriend. Jean, the photographer, and her poet husband, Thomas, have been married for fifteen years and have a daughter together. As the research and story go on about the murders of the past, Jean finds herself becoming suspicious and jealous of the other woman on the boat. I realize that the 'link' between the two stories, past and present, is one that questions what happens when a woman is 'pushed to the edge.' The author says as much on the back of the book. I also know that there is death in the book before I read it because the murders of the past are actually a reality, which is what made the book interesting. I enjoyed the story about the real murders from the 1800s much more than the present-day characters on the boat. Quite honestly, I didn't care about the characters on the boat. They were just too one-dimensional. I guess I'm glad I read the book for two reasons. First, it piqued my curiosity about the murders on Smuttynose Island, which I researched after I finished the book. While I didn't appreciate the way the author ended the story of the present-day characters, I did like the way she gave her own ending to the real life drama of two women who were murdered on the island. Second, I can now say I gave the author a second chance, and she proved to me why I don't care to read anymore of her books. While I'm sure this will, in no way, make her sales drop drastically or make her improve her writing, I am content to know I won't waste anymore of my reading time on her books. Also, I guess it's some consolation that the book was a quick read (less than 300 pages). If you're going to read the book, don't read about the real murders first. The book will seem more interesting if you read about them after you finish the novel. Actually, you could just skip the book and read about the murders online. You could get creative and write your own story around it. I'm sure you could come up with a better ending than Shreve. At this point, I'm beginning to think these little news articles are his way of getting his name (and books) noticed. What's the old saying? 'Bad publicity is better than no publicity at all'? Perhaps he has a buddy who's a journalist because I can't figure out why Deary's opinion matters enough to have articles written about him. I won't address all the ignorant things he said about education and teachers. I think he should just play some Pink Floyd and get over himself. 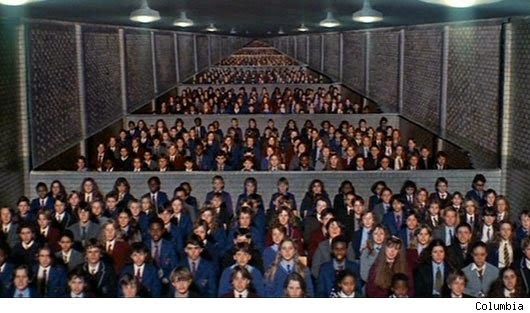 You know, he should play 'Another Brick in the Wall' loudly and sing along. He would feel so much better, I think. Does Mr. Deary even know history?! I'm beginning to think not. If he did, he'd realize that his horrible suggestion about returning to the past when people were slotted for one type of job and were mentored to never be more than they (or their families) imagined they ever could be is outdated and ridiculous. Sadly, I know that our education system is broken. There are many things wrong with it. I should know, I'm a teacher. I should also tell you, I came to the game late. This is my seventh year of teaching middle school, and I am almost fifty years old. I didn't begin my path to becoming a teacher until I was almost forty. I had lived other lives previously - careers where I was always successful and always enjoyed my work. For the greatest part of my working life, I was in mortgage banking. So, you see, I've lived and worked outside of education. I chose to go to college later in life and become a teacher after I saw the need for good teachers in our schools. I thought I could help. Here's my point: how could I have lived and enjoyed the variety of jobs I've had without options? All my work experiences have made me a better teacher, and I wouldn't have wanted to be a teacher my whole life. What would my life have been like if I had been mentored to only do one thing, with no other options, based on what I wanted to be when I was young? Six? I wanted to be a princess. Eight? I wanted to be a horse trainer in the circus. Ten? I wanted to be an artist - a painter. Twelve? 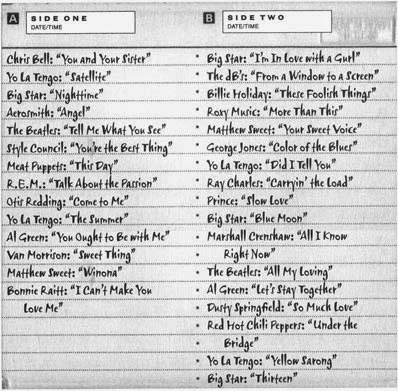 I wanted to be a singer. Deary does mention something about children being mentored for what they have a natural talent or ability to do. OK, well, let's go with that. Surely, I had some natural talent in my childhood that could have helped me choose a path to a successful job I would do for the rest of my life, right? 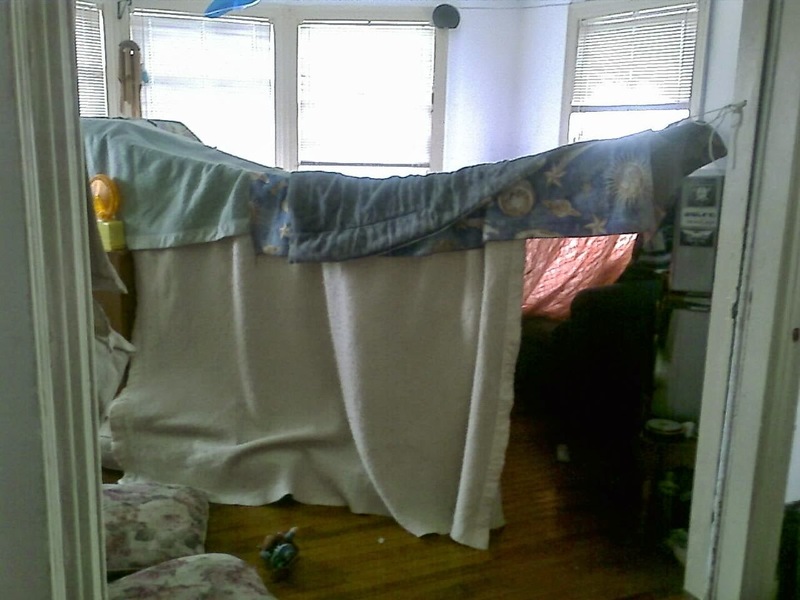 I could build a decent fort out of some blankets, chairs, and a few odd pieces of furniture. I was really good at playing in the creek and catching crawdads. I had a talent for making the best out of any situation. I was good at finding things. I was runner-up in a metric poster contest in elementary school, so I guess I could say I was good at being creative and making good puns. All of that aside, let me tell you another title that fits me best: student. I am a very good student and passionate about learning. I truly am a life-long learner. If you noticed the list of things I wanted to be and the things I found I had a talent for, I found those things out from my experiences in school. Awww, come on! Even the princess one? The circus? Yes, even those. I learned to dream because my teachers read us stories, told us tales, and made us believe we could be anything we wanted to be. Absolutely. I remember my middle school art teacher, Ms. Adams, who encouraged my love of drawing and painting. To this day, it still makes me smile when I think of the ink art project I did that she was so proud of. I no longer have it, but I remember what it looked like down to the last detail, and I remember her words of praise. Now, through all my years in public school, was every teacher a good teacher? No. To be honest, though, most were. I loved my teachers. They weren't perfect, they were human. Sometimes, when they made a mistake, it made me realize I could make a mistake, too, and it wasn't the end of the world. They were good to me. My former teachers are a big part of the reason that, when I saw there was a need in education, I stepped up to the plate and hoped to pitch a good game. If Mr. Deary's educational experience was horrible, I'm sorry for him. It does not, however, excuse him for intentionally "poisoning the minds of children" (his words, not mine). Shame on him. Personally, I think he's just a miserable man who enjoys spreading his negativity to young children and prides himself on it. It makes you wonder, doesn't it? I mean, since he's so 'gung ho' for everyone to have an individual mentor to encourage them on their life's path. Wouldn't you just love to have this guy be your mentor? Can you imagine him molding a young mind? I shudder to think. And his life that seems so dreary. And hope his books stay on the shelf. "We all have the potential to fall in love a thousand times in our lifetime. It's easy. The first girl I ever loved was someone I knew in sixth grade. Her name was Missy; we talked about horses. The last girl I ever love will be someone I haven't even met yet, probably. They all count. But there are certain people you love who do something else; they define how you classify what love is supposed to feel like. These are the most important people in your life, and you'll meet maybe four or five of these people over the span of 80 years. But there's still one more tier to all this; there is always one person you love who becomes that definition. It usually happens retrospectively, but it happens eventually. This is the person who unknowingly sets the template for what you will always love about other people, even if some of these lovable qualities are self-destructive and unreasonable. The person who defines your understanding of love is not inherently different than anyone else, and they're often just the person you happen to meet the first time you really, really want to love someone. But that person still wins. They win, and you lose. Because for the rest of your life, they will control how you feel about everyone else." I was very excited to read another Rachel Abbott novel after I read The Back Road. When I wrote my own review of the book and read some other people's reviews, many of them had mentioned it wasn't as good as her first novel. While I disagreed with some of the reviews I read, I was curious to see how good Only the Innocent would be if they felt The Back Road paled by comparison. Should I have guessed they would be as wrong about the comparison as they were in their reviews? I suppose I should have, but...they all seemed SO excited about that first novel. Because of that, I was anxious to read it. It had to, at least, be as good as the one I'd read. Right? Wrong. To say I was disappointed in Only the Innocent would be an understatement. The novel did not flow as well as the first one I read, and I didn't care about the characters. I also found it boring to find out 'the back story' from one of the characters reading another character's old letters that she hands her to read instead of just telling her. I found myself cringing every time I saw italicized writing, which indicated another letter. I figured out what 'the mystery' was too soon, and I only finished the book out of respect for the author. I mean, I knew she could write a good novel, as she did with The Back Road. I kept thinking the book would redeem itself by the end. As much as it pains me to say it, it didn't. I usually try to keep from giving anything away about the plot when I blog. It's usually difficult for me because I get so excited about a book I like that I want to talk about it. I don't have that problem with this one. 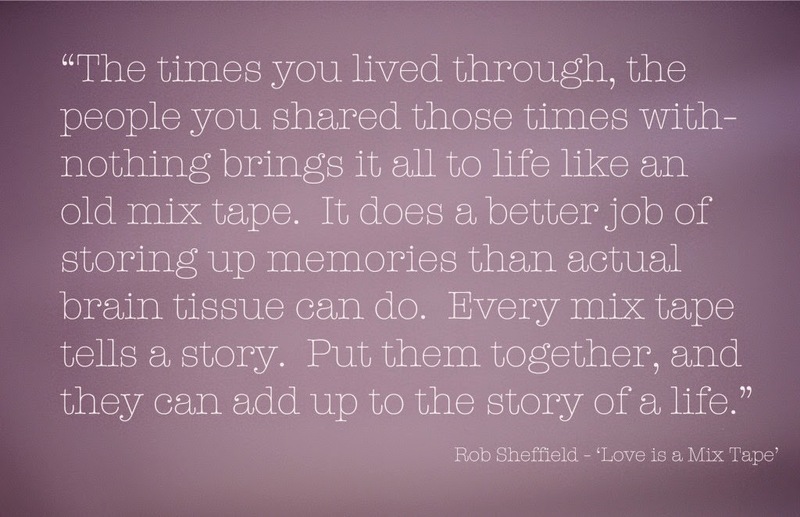 Truth be told, I'd like to forget the story all together. No, seriously. I really would. You see, I don't care for novels that revolve around sexual abuse and/or perversion. I'm not giving anything away by saying this, as the novel starts off with it. And I'm not talking about a little "slap and tickle" here, folks. I'm also not talking about two consenting adults engaging in a little kink. Abuse is abuse. The more you read, the more warped it gets. Not my cup of tea. I have been scratching my head for the past couple of days, since I finished the novel, trying to figure out why this book was so popular with Amazon reviewers. I have my theories, of course, but none that I wish to express here. Some thoughts are just better kept to ourselves. 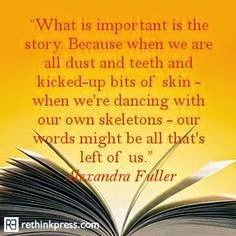 And some books are just better off forgotten. 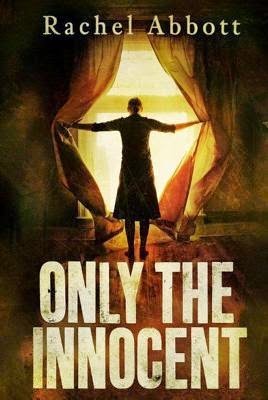 Only the Innocent was Abbott's first novel. The Back Road was her second novel. Since she greatly improved from her first novel to her second, I'm thinking her third must be even better than the second! I'm glad I didn't read her first novel first, as I would never have read another. I am quite hopeful about this third novel and not ready to give up on this author. I am currently reading two other books but, when I am finished with those, I look forward to reading Abbott's Sleep Tight and hoping to find what I found on The Back Road - suspense, intrigue, and a good mystery that needs solving! "Once upon a time there was a boy who loved a girl, and her laughter was a question he wanted to spend his whole life answering." I just finished this novel, and I really liked it. I will tell you, though, that it's one of those books you have to follow closely. 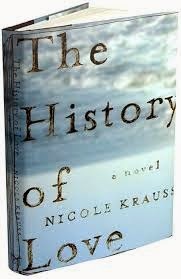 The author, Nicole Krauss, takes fragmented pieces of people's lives and joins them together in an amazing way. There are some books you can read and put down for awhile, then pick it up later. This isn't one of those. You need to keep the characters straight in your head and pay close attention. This is a thinking person's book. You need to work for this one. It's good work, though. It's a good book. You should read it. You know I don't like to give away the plot, in any way, but I will tell you a bit. The story revolves around an elderly Jewish man, Leo, who is telling a story that begins before World War II and ends in present day, but...he isn't the only one telling a story. The boy who loved the girl was Leo. He promised to always love her, did he keep his promise? There are times when you wonder where the story is going, but you must be patient. It is going somewhere. It is also a story within a story...and more than one story. 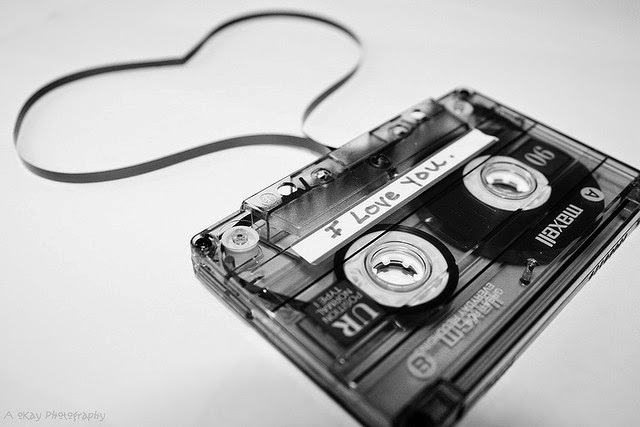 And, of course, it's all about love - all kinds of love. For me, I don't mind how many characters or sub-plots a story has, as long as the author brings it all together in the end. I must feel satisfied when the journey is over. 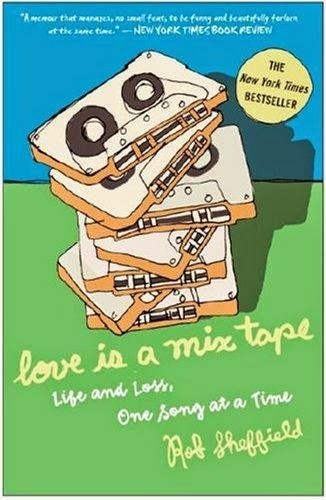 This book satisfied me, stayed with me, and made me think. I loved it in a quiet way. I don't know how to say it any better than that.